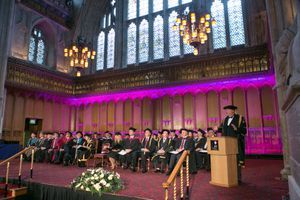 In 1993 I decided to flip my career at the Bar by moving to London Guildhall University to take up a full-time lecturing role and practising at the Bar part-time. I lectured Tort Law, Criminal Law, German Commercial Law (having spent time in Germany), Criminal & Civil Litigation (on the old LSF) but my specialism was criminal litigation and advocacy training on the newly formed Legal Practice Course. I enjoyed 3 good years teaching undergraduate, graduate and postgraduate students. I developed a keen appreciation of the power of practical vocational legal education compared with the old fashioned highly academic approach to the study of law. Understanding law from the view of a pure academic is like a fine horse wearing blinkers. It is only when you experience practice that you truly understand law and the blinkers are removed. My experience in these early years would prove to be highly valuable in creating a University devoted to practical professional education. 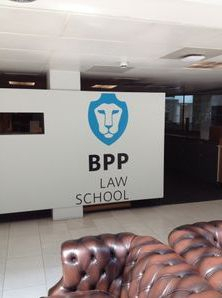 I joined BPP Law School in 1996 mainly because I was impressed with the resources and the fact they had an ambition to specialise in vocational legal education. The Chief Executive of the Law School at that time was Mike Semple-Piggot (you can catch him on twitter as @CharonQC) and BPP was a franchisee of Nottingham Trent University teaching the Legal Practice Course and CPE programmes from Nottingham Trent. I learnt a lot from what Mike had started but wanted to add my own character to the organisation and I knew getting closer to employers would hold the key to success. I was part of a small team that declared independence from Nottingham, producing our own law programmes, launching the new Bar Vocational Course, launching the new City Legal Practice Course and developing the Postgraduate Diploma in Legal Practice. I was able to put into practice my theories on vocational education that chimed with the small team of people I recruited who shaped the development of BPP Law School. 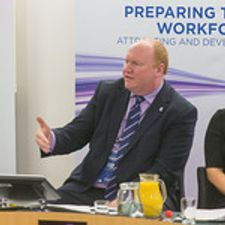 In a short space of time I had led the Bar Course, the Legal Practice Course, became the first Director of Vocational Training and I was promoted to the Board of BPP Holdings plc (a publicly listed company that at its high point would be a FTSE 250 listed company). I had responsibility for BPP Law School on the main board of BPP creating a division that eventually represented about 1/3rd of the entire revenues of BPP. Our client list was impressive, the best Law firms in the world selected BPP Law School and came to us because we trained their lawyers better than anybody else. At the heart of the Law School was the theory that education was best delivered in its vocational context by practitioners who had been there and done it. The academic theory was important but needed to be understood in the context of practice. Practitioners who were specialists in their fields, designing practical case studies and letting students actually have a go in a classroom setting. Graduates therefore hit the ground running when they started their first job. The founders of BPP put their faith in me and had given me complete control of their new division and supported my every decision. I owe Charles Prior a deep debt of gratitude for his faith in me. 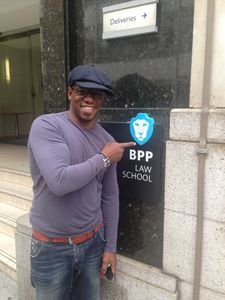 In 1996 when I joined BPP the big law firms told us that theywould never send their trainees to BPP by 2000 it had all changed and today BPP has more top 40 law firms sending their trainees to us than any Law School in the world. 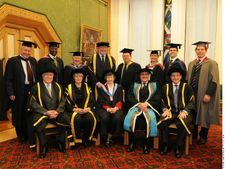 In 2010 the Minister for Universities agreed the conferment of 'University College" title on BPP College and BPP became known as BPP University College. At that time the title "University" was not really open to private companies such as BPP. It was big news in the industry that for the first time in 35 years a 'University College" had been created by the new coalition Government. 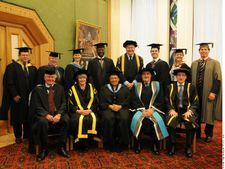 The last Minister to do this was Margaret Thatcher in the 1970"s. BPP University College has stuck to the principles that my team and I developed over a decade earlier in developing the Law School - the theory that education needs to be taught within the context of practice. In 2011 I was pleased to be able to launch a School of Health, which for me is the ultimate expression of practical education. The same year we also launched a School for Foundation Studies to help widen participation in the elite professions of finance, health and law that is our core business. Like me, many of my colleagues at BPP are first generation graduates who came from humble back grounds and want to help others get into Business and the Professions. We have been successful in winning many blue chip clients who sponsor students to take certificates, diplomas and degrees at BPP. We have pioneered Professional Apprenticeships and now have 1,000's of students entering, at age 18, a career that involves combining work and education. This new generation of students will graduate with no debts, a profession and a degree. The formula of practical professional education really does chime with employers. It was great to be awarded the 'Best Post 16 Education Provider in the UK" Award in 2011. The worldwide opportunities for high quality practical professional education are immense. Every country I visit I hear the same story: graduates lack the skills necessary for employment, University concentrates on the abstract and fails to prepare people for the workforce. If you ask a typical academic leader about this they will usually start the discussion by trying to define the purpose of a University. BPP University has a clear purpose to prepare its students for the workforce and enhance the skills of those alreading in the workplace. 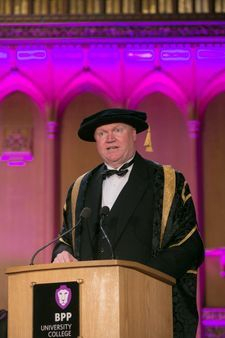 In 2012 the Minister for Universities, David Willetts, announced his intention to produce new rules for the granting of University title. The new rules turned out to be extremely rigorous and it is likely that only a small number of organisations will ever be able to satisfy the criteria. 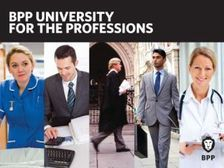 I am pleased to say that in August 2013 the Minister and Secretary of State granted BPP permission to use the title BPP University, the University of Business & the Professions - BPP stands for Business & the Professions. The title has subsequently been confirmed by order of the Privy Council. By the end of 2016 we celebrated the 100,000th alumni of BPP University. I was recognised for my work by a Gold Award from the Association of Colleges. I am particularly proud that I am Doncaster's first ever winner of the Gold Award which also means my old Doncaster College won an award. In 2017 BPP's ultimate parent company was sold to US private equity. In March 2017, having led BPP through a second sale, I decided that the time was right to hand over to my colleagues at BPP and look for new challenges. I have taken up a number of roles as a Non-Executive Director and Chairman and intend to devote the next part of my career to helping widen access to high quality education provision.